Snoods are very necessary in a basset’s wardrobe. **These summer photos were ones taken by my very good friend, Ramona of Ramona Garbald Photography… I miss summer. They also like to sniff. And so they drag their ears on the ground. A lot. And in the dirt. And they step on their ears. A snood helps keep their ears clean. My boys have been wearing snoods since they were puppies. In our house, snoods are necessary for walks – especially around this time of the year (somehow we have gone from six months of brutal winter to slush season almost overnight). Are you familiar with Babyville fabrics at all? When I came across this fabric, I knew it would be perfect for spring snoods. Babyville fabrics are waterproof (perfect! ), yet breathable (also perfect – don’t want to let the ears get too warm!). They come in a variety of fun patterns and colours. And they are easy to care for – wash in warm water and dry on medium heat (no fabric softeners or bleach). And these snoods are fun to whip up and easy to do in just an evening. In the coming weeks, I’ll post some additional measurements for other sizes (or leave a comment and I can provide custom details). But today I’ll note the sizes for my boys (who have very big noggins!!). First thing is to sew the tube part of the snood. With right sides together, match up and stitch along the short side of the snood (the 18 inch side). I used a 1/2 inch seam. No need to press seams flat here. 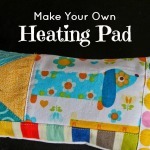 You don’t want to use direct heat on Babyville fabrics. 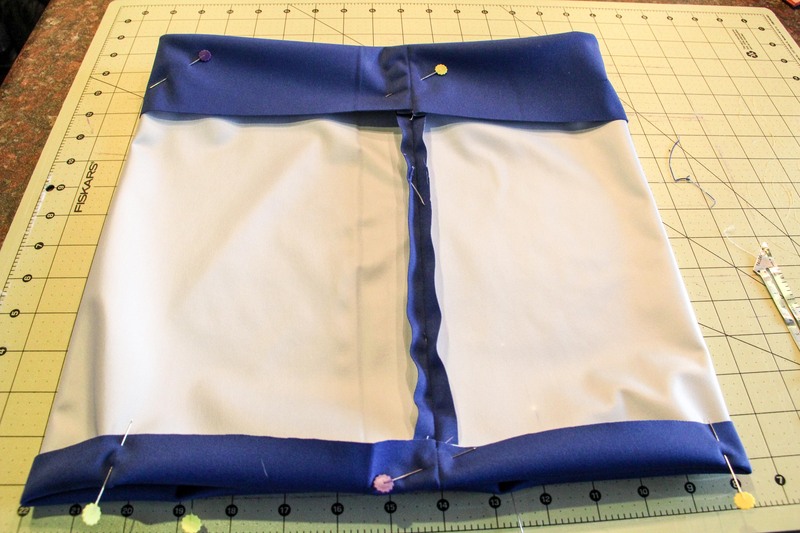 But with a wider seam and this fabric, I didn’t feel it was necessary anyway. I just kinda pressed the seam with my finger to open it up. Next we need to finish the cuff for the elastic on the top and bottom. 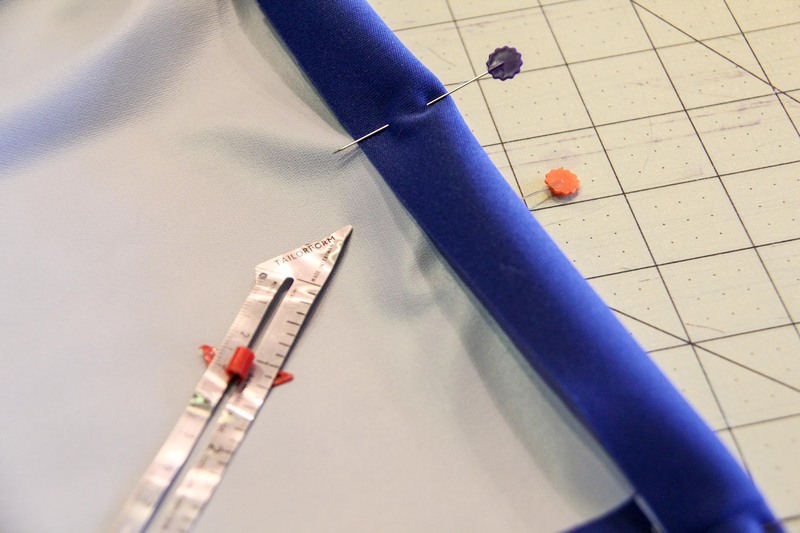 I pinned the fabric to insure I was sewing at the right length. 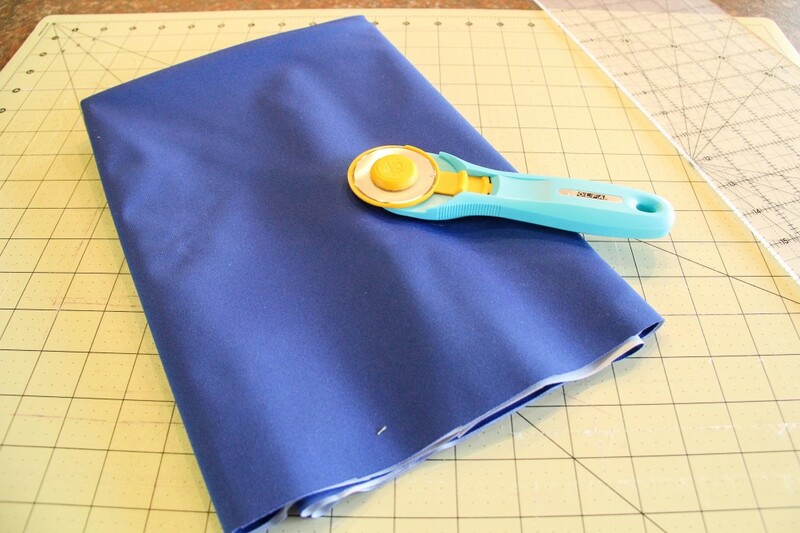 Turn the fabric up one inch at the bottom. And three inches at the top. To sew the channels for the elastic, I used a 6/8 inch seam allowance on the bottom and a 2 inch seam allowance on the top. 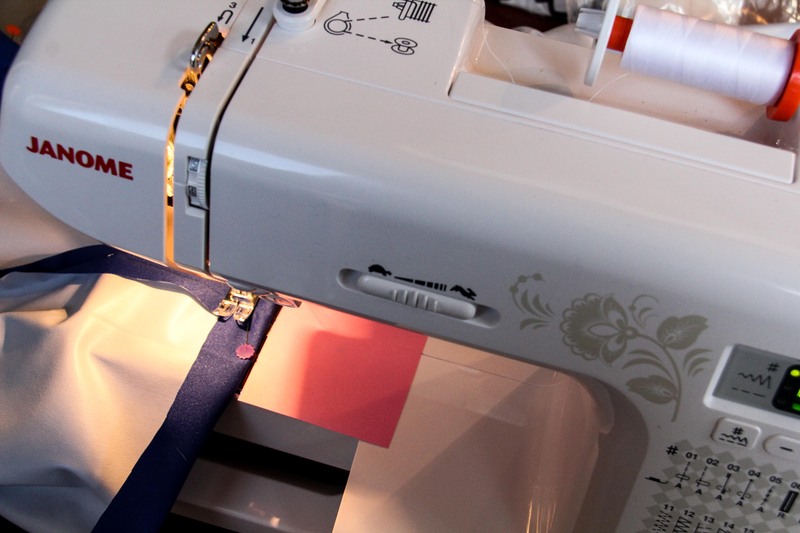 To make sure I kept the seam allowance consistent and even, I like to place a post-it note on my sewing machine as a guide. So for the bottom and the top, I placed two different ones (those are the pink post-its on my Janome machine). This way I didn’t have to look for the numbers on the sewing machine bed and can easily see how much of a seam width is needed. 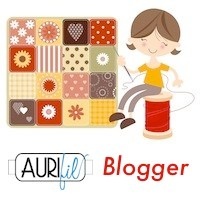 And to sew up the boys’ snoods, I used my favourite thread – aurifil. It goes through this fabric with such ease. No tangling or tension issues. 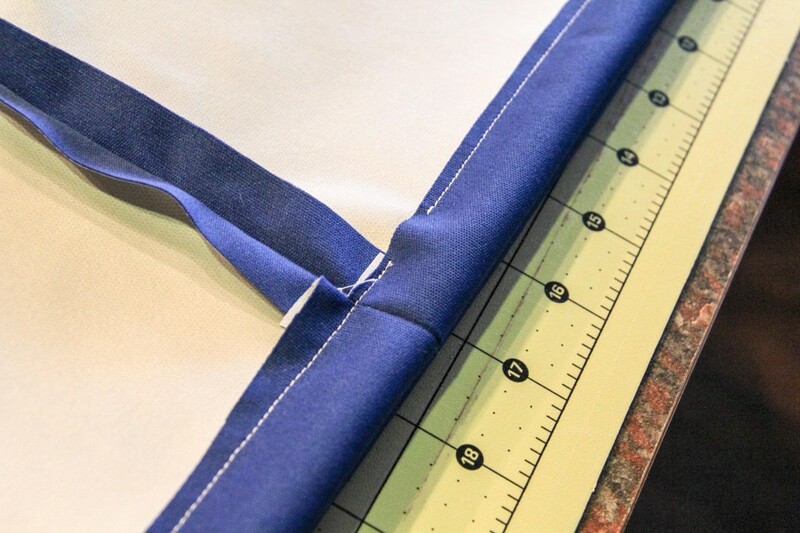 When you sew the 6/8 inch seam on the bottom, be sure to leave a half-inch gap between your start and end. 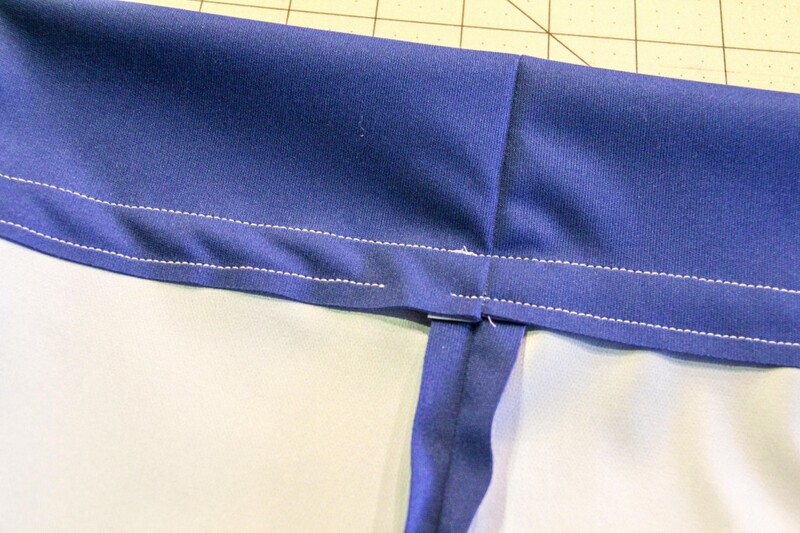 When you sew the 2 inch seam on the top, you can sew all away around. 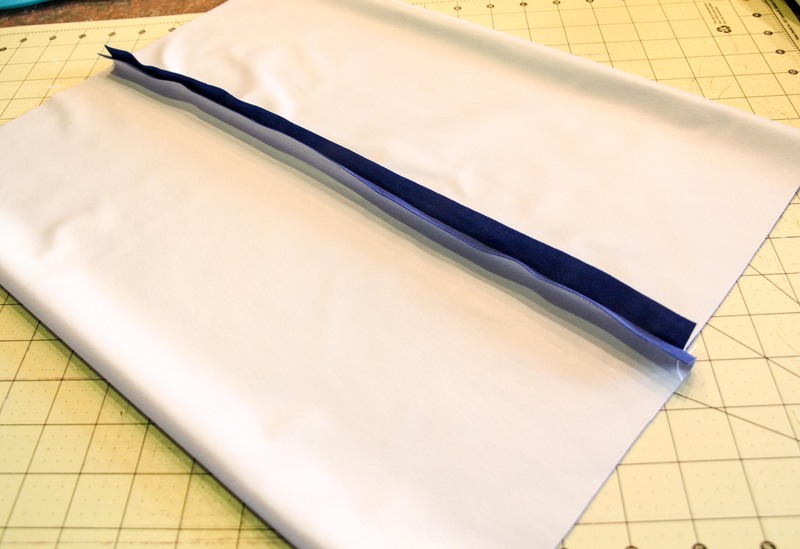 But then you follow up with another 2 and 6/8 inch seam at the top (this creates the channel for the elastic) and you have to remember to once again leave a gap between your start and end. Next we thread in the elastic. The 13 inch piece goes in the top. The 16 inch piece in the bottom. These keep the snood tight but not too tight – and make it easy to slip on and off. My method for threading the elastic uses two safety pins. I take the first one to attach the end just outside of the gap you left between the start and finish. Then I take the second safety pin and attach it to the beginning of the elastic and use it to guide the elastic through the channel I created. Thread both the top and bottom elastics through. 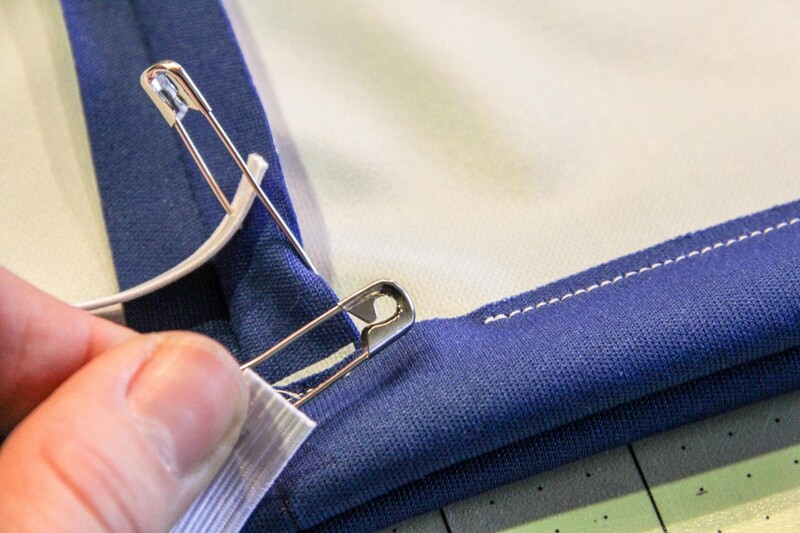 When you are done, use your sewing machine to secure the two ends together. I just hold them together and run the straight stitch on my machine back and forth over the ends several times. 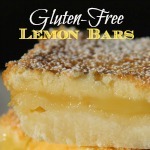 Then close off the gap you created between the start and end to finish. Evenly distribute your elastic through your snood. And then get your model(s) to try on their new spring snoods! Don’t the boys look excited for their new snoods?! I have a give away today!! This give away is open till midnight, April 15, 2014 and is open to anyone in North America. To enter, just use the rafflecopter widget below. Good luck! THIS GIVEAWAY HAS ENDED. Congrats to Michele W.
Michele has been contacted and responded. She decided to go with the prize package for boys. Enjoy Michele. 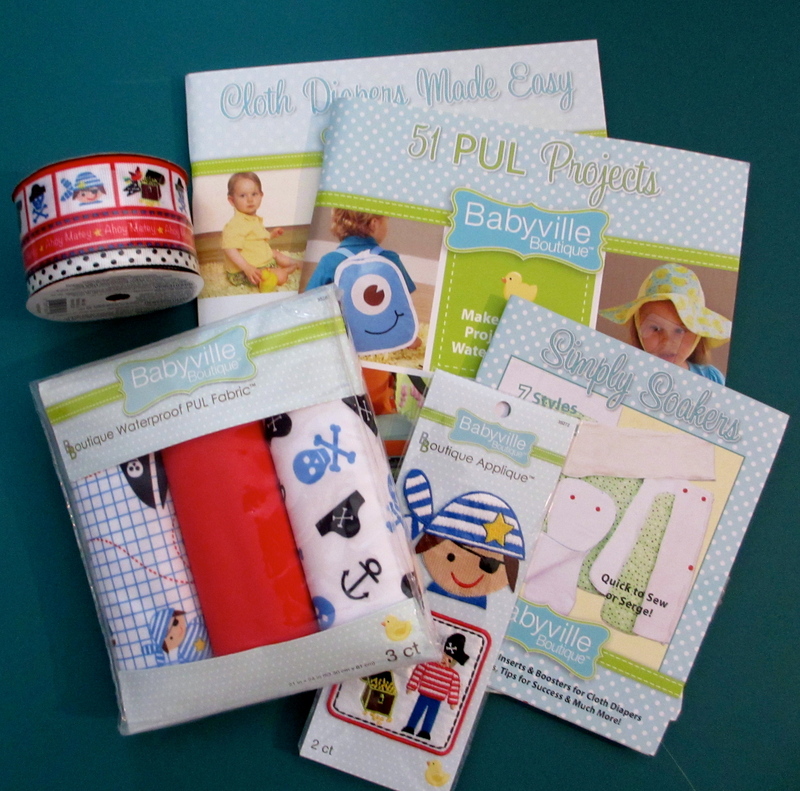 Can’t wait to see what you make with the Babyville fabrics! i see a very funky sun hat in our future! Babyville is wonderful. 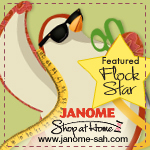 The prints and colours are so much fun and the fabric just what every mom needs. I love how it stays soft over time. I am not on Facebook but I do follow your blog via email. I’ve never used them before, but I would make some stay dry mittens for my daughter! I’m never used Babyville fabrics, but I’d love to make my daughter some mittens! Oh Lordy – these are deadly cute! I love bassets, but bassets in snoods! What can I say! 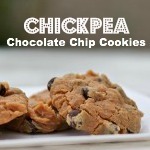 I have cats and parrots, so “clothing” is just not possible….too bad….Also printed off one of your recipes. I’ve never used this fabric either incidentally. In almost 40 years I have had 3 dogs one a cocker spaniel and wish I had known about these snoods! A great idea, my border collie has no need of such a thing, but now i know in case i can fit another dog into my lifetime…. 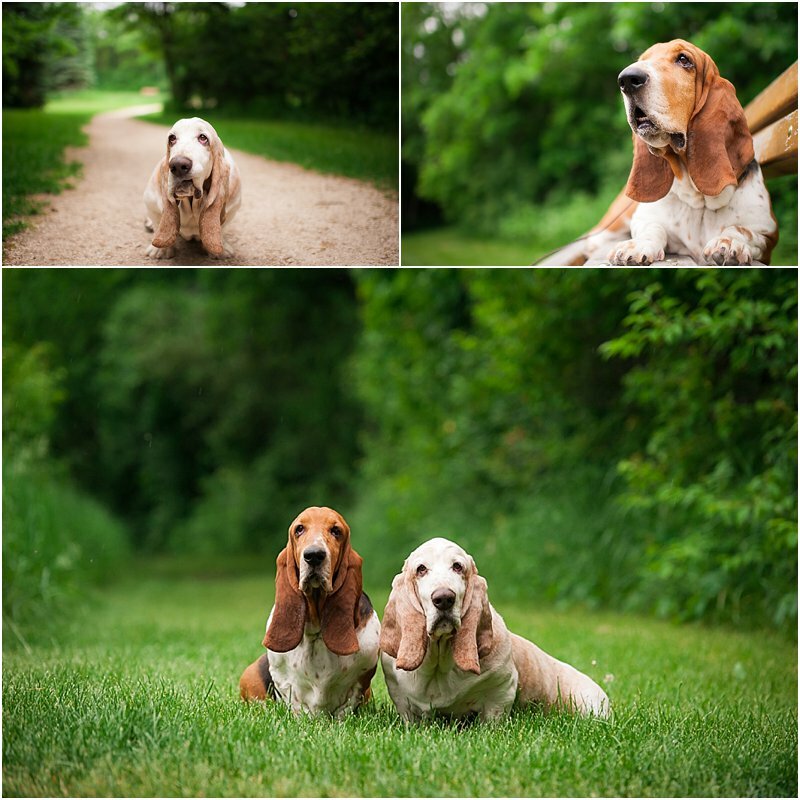 Your bassets are veryhandsome! This very new to me and I’m thinking a baby quilt would be what I’d make!! My dogs have all had ears that stand up, so I haven’t had a problem with wet ears, but I love the pictures of your guys! I would love to try the Babyville fabric. I would like to try using it. Visiting from The Needle and Thread Network! 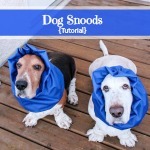 The snoods are adorable! Your snoods are so cute! Fantastic, you have such good doggies! I have not used this fabric but I’d love to make some baby bibs with it for my grandson! I would make diapers for my daughter! 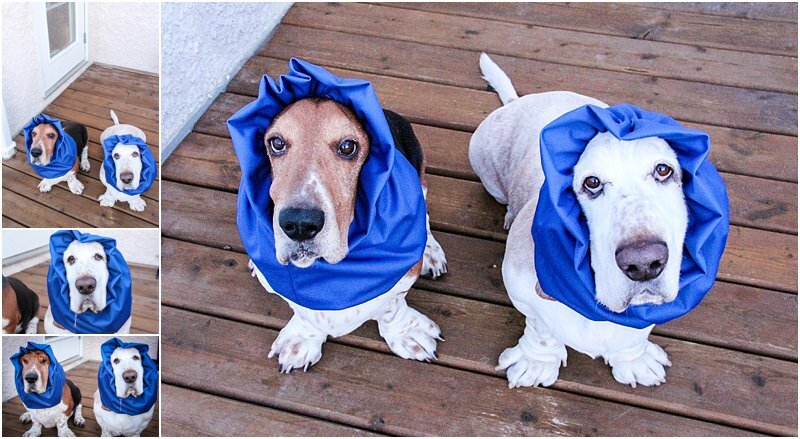 Can I make a full-body “snood” for my Basset who likes to wander in the woods and get all muddy?! 😀 I haven’t used their fabric before but I think it would be great to make a spring poncho for my daughter. What sweet snoods! Those pups look so happy to have clean ears. Thanks for sharing! What a wonderful idea, I have two miniature Dachshunds and they both have very long ears and some how they get stuff (mud “when they dig”, food, water “from the water bowl”) on the tips of the ears. 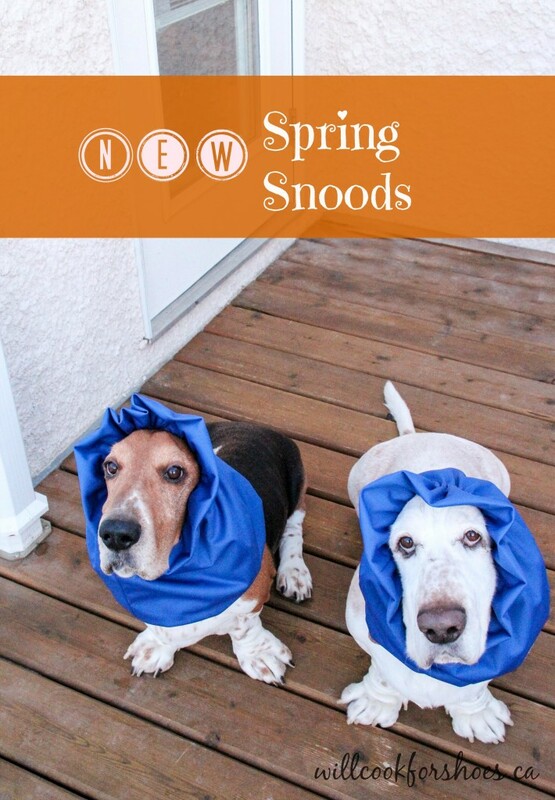 These Spring Snoods would be awesome for them, I’d have to figure out how to cut down the pattern considerably. Thank you for sharing. These great ideas. Thank you for sharing and your snoods are so cute!